An original drawing of popular Belgian comic book character Tintin sold for 505,000 euros at an auction in Paris this weekend. The India ink and watercolour image from the 1939 comic album King Ottokar’s Sceptre shows young reporter Tintin and his canine companion Snowy in the company of a butler in a royal palace. The rare artwork was among several items by Belgian artist Hergé to go under the hammer at the Artcurial auction house on Saturday (November 18). Other pieces up for grabs included toys and figurines. An original comic strip also brought in big money, with a sale of 381,000 euros. 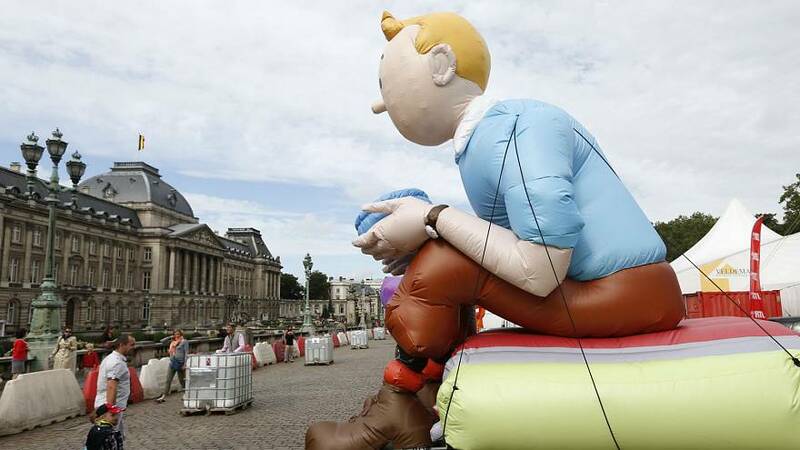 Tintin is one of the most popular comic book characters ever created. The story of the intrepid reporter has been published in more than 70 languages, and adapted for radio, television, theatre and film. In November, a drawing from Explorers on the Moon sold for 1.55 million euros at Artcurial, setting a record for a single cartoon drawing.